I have an unhealthy obsession with outerwear. 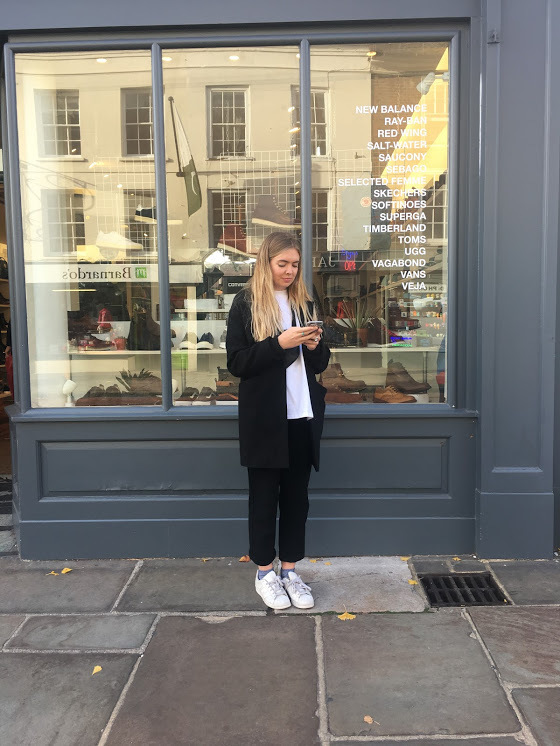 Theres something about a coat that instantly changes a look. I state that as the reason as to why I have soo many, and why I need so many. Because you cant wear a slip dress with a Carhartt jacket can you? And a light blazer is no good in the snow. I've pre-filmed and planned some Youtube videos to post, so I'll be able to post weekly (for now, depending on how it all goes.) 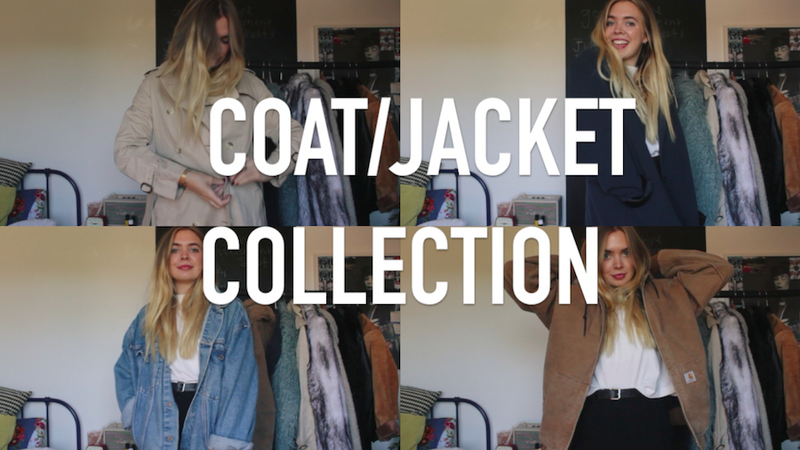 I've set 'do youtube' as a gap year goal of mine and wanted to kick this new goal off with my coat and jacket collection, seasonal and also a little reminder for me of why I need to get rid of a few things lol. In order to rid myself of this strange slump I've found myself in, I've set a few goals for my gap year. 1. I want to get into Youtube and for the most part commit myself to it for a bit. I'm bad at finishing things I start, and this seems like a good challenge for me at the moment. 2. I don't want to get too into the online world that I'm not fully present, but I want to connect and meet up with some of my online pals moree. 3. I want to cut out refined sugar and tone my love handles. A woman I was serving at work the other day made me lol, she said "I've got love handles and no one to love them." It sounds a bit sad when I put it like that but it made me laugh so much when she said it. 4. Conquer my weird new fear of flying. Idk where this has come from, but I need to tackle it before Molly and I head to Australia. 5. Buy a £10 film camera off Depop and document everything. I want a small one that I can load with film and take with me everywhere, I get so sick of digital photography and instagram filters. I want to get back into film photography. 6. Stop worrying what people think. 7. Get rid of three things for every one thing brought. 8. Get rid of some bloody coats. OMG I AM SO JEALOUS OF THIS COLLECTION! I acc love how much you suit literally all of these looks so so well, despite how different and characteristic they are. Wow this acc made me realise I need to up my game :') lol! Mate if you're selling these HMU! It must be so hard to let go of these, but I loooved the Blazer and the Carhartt! (insert the eye emoji hahha) <3 <3 looking forward to your next vids!